Welcome to the JVNP 2.0 Update featuring a primary JV invite courtesy of fellow JVNP 2.0 Partner T Harv Eker (Harv Eker International – Secrets Of The Multi-Millionaire Trainer 2018 launch affiliate program JV invite), Buzz Builders (Mike Filsaime + John Cornetta – GrooveKart, Alex Ortner – The Tapping Solution – Financial Success And Personal Fulfillment launches), and More … in Today’s training the trainer edition. I wanted to reach out because starting October 17th, we will begin promoting our most popular and highest converting offer to date. This is the first time we’re inviting anyone to join us on this specific promotion, so if you’re an experienced, successful affiliate marketer, we’d love to have you participate! 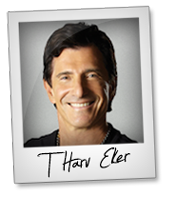 We are re-launching our most successful program: Secrets of the Multi-Millionaire Trainer. We understand it’s last minute and you’re likely very busy. However, we’re confident you will make some really good income supporting this offer. We pay a minimum of 50% commissions. Average EPL (based on prior launches) is $25.21. Product price: $495 or $795 (price test in process). Generally, we ask that partners send three or four emails. But, if you even send one or two, that would be fabulous, and well worth your time! Email #1: Web Class Opt-in (RECOMMENDED) – Mail any day between Wednesday, Oct 17th – Thursday, Oct 25th. Email #2: Web Class Opt-in Reminder (OPTIONAL) – Mail any day between Wednesday, Oct 17th – Thursday, Oct 25th. Email #3: Sales Page (RECOMMENDED) – Preferred date is Monday, Oct 29th or any day between Oct 29th – Oct 31st. Email #4: Sales Page (Optional) – Preferred date is Wednesday, Oct 31st. If you have an opportunity or an opening in your calendar, we’d love to have your support. If you don’t, we understand. In fact, if it’s better for you to mail at another date before the end of the year – we can make that work too – just let us know! Visit the HEI Affiliate Registration Page, get on board (if you aren’t yet an affiliate), and we’ll get you up and running!